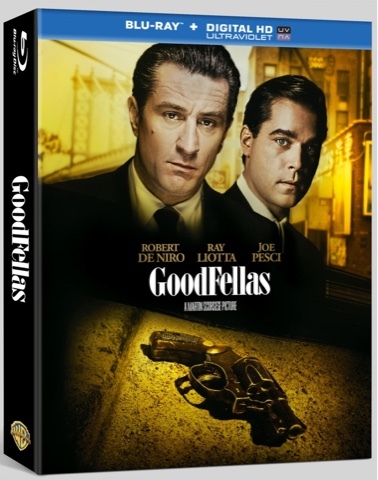 This will be my final post today,and as I have mentioned a 40th Anniversary film tonight, a 35th Anniversary film I thought I would show you the great 25th Anniversary of the greatest gangster movie I think that has ever been made in the modern age,and that is GoodFellas. Martin Scorsese finest work to date,apart from Taxi Driver, and Raging Bulł. Which at the time was shockingly overlooked by the Academy in Hollywood. And they all should hold their heads in shame for making Mr Scorsese wait another 16 years to have his first golden Oscar. 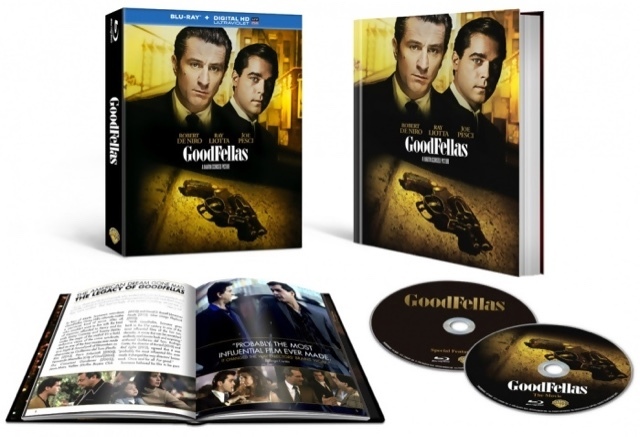 Anyway this Bluray is a two disk set, jammed packed with extras and special features, a lovely mini hardback book full of photos,and interviews with the cast. And the nicest touch of all is a personal Written note from the master himself Martin Scorsese,introducing us to this great movie. I paid just £10.00 for this in May for a supermarket,by the way it was cheaper than on Amazon at the time. So yes this version is worth getting and is a great collections item.